Creating the expectation of success, that is the idea behind Yes! Our Kids Can, a new program coming soon to Austin Elementary. YOKC teaches students at a young age that no matter what their circumstance, college or any form of education beyond high school is attainable. Through his donation of iPads, docking stations, and curriculum totaling nearly $20,000, 16th U.S. Ambassador to the United Nations and former student, Warren Tichenor is making this digital learning system a reality for first-graders. The 10-week program will feature fifteen minutes of teacher-led lessons each day, which include strategies and tactics for instilling grit, resilience, high expectations and aspirations, self-efficacy, and character building. YOKC also seeks to involve parents by helping illuminate the process of college preparedness and encouraging their consistent participation in the effort. Delivered using today’s mobile technology, the YOKC App and parent outreach component is a unique and innovative digital learning system aligned with YOKC’s classroom content. “The kids will go into the app after the lesson where they can learn about colleges and universities as well as different professions. Parents will receive messages where they can see what their children are learning as well as ideas for discussion,” said Gonzalez. 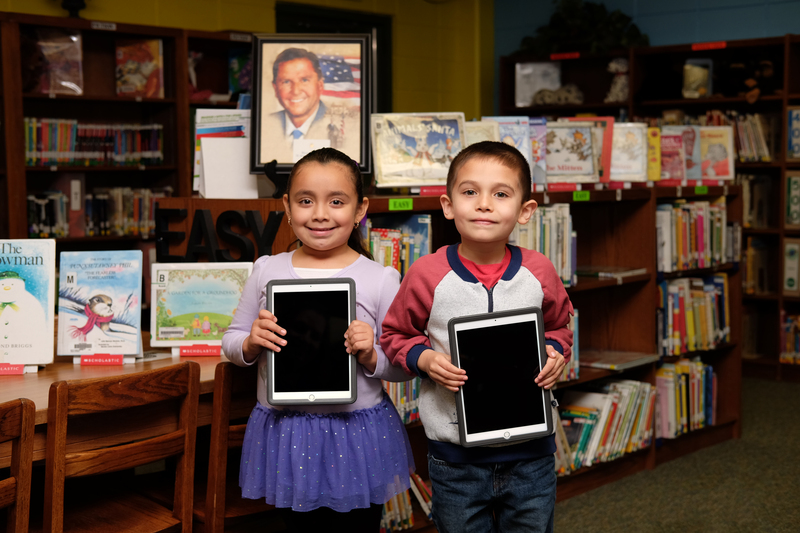 Each of the three first-grade classrooms at Austin will receive 11 iPads – one for the teacher and 10 for the students to share in pairs. Roll out will begin on Feb. 26.